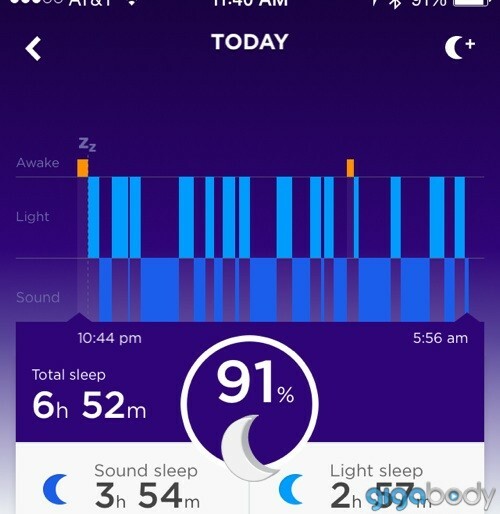 I’m happy to report that the sleep and step data issues with the first release of the Jawbone Up2 have been resolved by the company’s latest firmware update. Their Customer Support went out of their way to contact me and get my issues resolved. Truly above and beyond service. Jawbone published a firmware upgrade (available through the latest version of the Up2/3/4 app) that not only improves device battery life, but also solves some of the early glitches I reported in my earlier blog post. Step data accuracy has improved quite a bit with the firmware update. 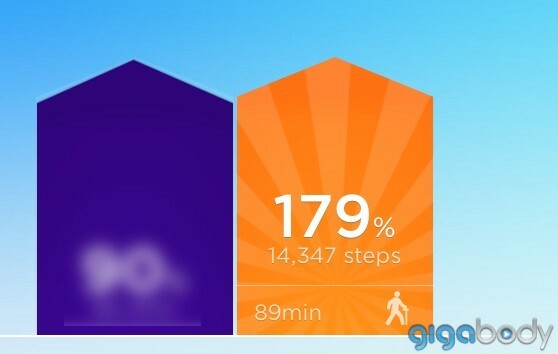 Before the update, the Jawbone 2 was under-reporting steps. I could no longer reach my daily step goal (which I used to hit at least 5 days a week) and this was really upsetting. It was like going from A’s to C’s on my activity report card for no reason. A marathoner friend of mine pointed out that the one thing these devices can never do is under-report steps (or progress for that matter). That’s product suicide. It is both infuriating and demoralizing when you know how far you’ve walked or run, but you don’t get the credit. (I was walking the same routes I’d walked for years, confirmed distances on Google Maps, but the step counts were coming in far too low before the update.) Ardent wearers of activity trackers are in tune with their numbers and depend on this feedback to reinforce their habits and exercise goals. If the device moves the finish line, that’s just pure frustration. Over-reporting on the other hand — giving more credit than is actually earned — is not ideal but is certainly the preferred direction for any type of user-facing data error. Better to give the wearer credit for walking MORE steps than deny them any of the steps they know they’ve rightfully taken! A little dopamine bonus reward goes a long way. With the firmware update, the app is now reporting 2-4 hours of deep sleep for me per night, a marked improvement over the prior version which claimed I only slept about 60 minutes of deep sleep per night. I would have been worried had I believed it. I’m a pretty good sleeper, sleeping 7 to 7.5 hours a night typically. My past Up devices all reported that I got several solid hours of deep sleep per night, as does my Misfit Flash. Thankfully, the new version is back in line with these numbers. I really like the way that sleep is now charted in the Up app – waking is at the top (in orange), then light and deep sleep below that, respectively. It’s intuitive. A few final tips if you’re considering buying the Up2, which is incredibly affordable at $99 and worth every penny now that the data issues are resolved. Buy the black band – it’s elegant and wears well. The silver/grey band starts to look ratty in the first month, as did my first generation mint green Up. The band material is very comfortable, but too porous to stay clean. Skip the Up3 for now – The Up3 version is super pricey and doesn’t yet measure heart rate during exercise. Upgrade your firmware ASAP – Don’t spend a single day with the old buggy software. Upgrade to firmware version 1.1 or above! What do you think about over-reporting versus under-reporting steps? Would love to hear your opinions! I’m on my second UP2. Both completed the firmware update (1.1.20) & immediately following, both quit counting steps at all. Please advise. Wow, that sounds frustrating. Did you reach out to Jawbone Customer Service again? I’m assuming you have. Would love to know the outcome. I found them incredibly helpful. My post-upgrade Up2 is going strong, although it does accidentally fall into sleep mode when bumped sometimes. I think the next model will need a different interaction mechanism. I’m not a big fan of the complex tapping process. The Jawbone UP devices have gotten steadily worse; I’m on my fourth warranty replacement, and the only reason why I haven’t switched is not wanting to put money down on another wristband type device. I loved the UP24 look, but the batteries kept dying, so they discontinued it. Unfortunately, my last two warranty replacement devices have been UP2, which is not only less accurate, but falls off (they sent me a cheap tiny plastic thing to hold it in place after trying to convince me to wear it upside down). The UP24 was good with calibrating steps and distance (easy to compare when you regularly take the same walking paths). The sleep accuracy has to be taken with a grain of salt. Deep is regular or deep, but light is often just lying relatively still — picking up a phone and turning it over to see the clock in the middle of the night should rate as a waking moment. They may have gotten rid of the tapping, but now it’s even less accurate. It sometimes interprets sitting still as sleeping. And now the “crunch the numbers” can take over a minute, and subtracts as many as 3,000 steps (and this with 3-4 days minimum left in the battery). The latest firmware update has now stopped converting steps to miles. Yesterday when I was at 101% of goal, it insisted I’d only covered .03 mile. Right now I’m at 90% of goal, but it’s only at .01 mile. So apparently I’m levitating. Thankfully my phone has a built in pedometer. As for customer service, the aggravation alone isn’t worth it. My first experience was good; a few emails to confirm what I did to try to resolve the issues, and they sent me a replacement. A couple months later, and the customer service was a nightmare, and by nightmare they included things like telling me to wear it upside to avoid the clasp releasing. The last call — and they will force you to call even after several patronizingly cheery email exchanges — was over 20 minutes. That call was mostly them apologizing for making me call and telling me they’d send out a replacement the next day (which was two weeks from when it actually sent). I don’t know how they stay in business. I’m SO glad to find this info. My original UP tracker died, and since Jawbone no longer makes the original UP, they replaced it with UP2. I’ve been miserable ever since! My first band tracked a one-hour fitness class at 6500 steps regularly. Now the UP2 clocks in around 4000-4500. Same class. Same person. Too few steps. I took a walk around the block and actually counted my steps until I reached 400. The tracker counted 269. I’m going to look into the firmware update. Hopefully that is my issue. Gotta tell my sister-in-law because she is experience the same frustration. The upgrade helped me. I am enjoying the new sleep monitor functionality. I was worried about my sleep — it was frustrating. Also I am enjoying it not going into sleep mode when I hit a bump when driving. I have had GREAT experience with UP customer service. They truly sent above and beyond for me when my UP24 failed. Very pleased. Glad to hear it worked for you, Susan! I still have issues with it going into sleep mode when bumped…. but the steps and sleep look better. and steps are not converting to miles. This UP2 is two days old. I suspect the firmware update is the culprit. I tired a soft reset and the same. Any ideas. Hi, Valerie, I used to have an UP24 and it would stop working and Jawbone sent me about 4 replacements. I got tired of this routine and gave up. I recently decided to give Jawbone another try and was hoping the UP2 would be significantly better but it seems that’s not the case by the Amazon reviews and the comments here in your post. Agree with J Brown and wonder how they stay in business, but do you have a sense of the risk involved with getting an UP2? What’s the percentage of success rate (% of people returning their bands vs % of people with bands that are fine??)? I am so enamored by what the device does it’s hard not to re-consider getting it!